It's been a week since my major announcement, and I'd like to report that I've been good. First of all, the support has been amazing and very encouraging. It really feels amazing to have people be positive and to even share their own struggles. Motivation is important and I feel like I'm going to read those comments during the dark times to keep me going. 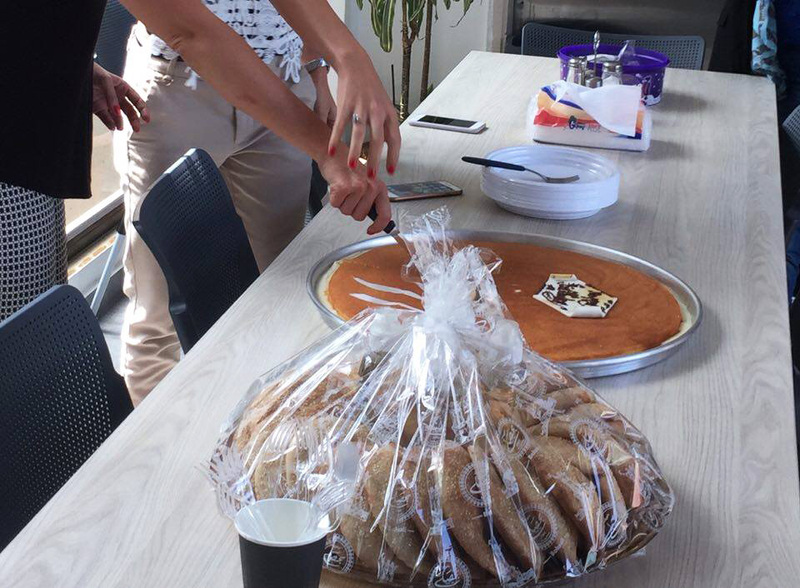 On to the report: the day after I published the post, a HUGE pan of knefe was delivered to the office for someone's birthday because cakes are too mainstream. I naturally wanted a piece, who doesn't say no to free knefe, but I resisted. I SAID NO! NOT TODAY KNEFE, NOT TODAY! Me: *lightbulb* yup, that's it. I don't like it! I feel like people peer pressure other people into eating way too often in this society, but then they like to point out that you're getting fat. Crazy thought, respect the NO! The rest of the week was full of challenges as well since I hadn't set an exact food plan yet. I cut out sodas, white wheat, chocolate, fried foods, and other "bad" foods. When I went out to dinner on Friday, I didn't stuff my face with bread and meza. I ordered a taouk platter, mainly for the presentation, and didn't even finish it. On Saturday, my friends and I decided to cook dinner together and we made chili. It wasn't the healthiest meal, but it was healthier than what we would have eaten had we gone out. We also made beer margaritas, and I'm happy to say I only had one cup. This week was a week of realization, lot's of realizing was done. Since I logged in all my intake on Myfitness App to keep an eye on things, I started to see how the little things add up. It made me want to actively make better choices. I also met my step goal of 6K a day, which doesn't sound so hard, but trust me, in this heat it's a struggle to just get out of bed. The goal for next week is to set an exact food schedule in place, I'm meeting a nutritionist tomorrow so we'll see how that goes, and to hit the gym twice!